Art can be a tricky thing. What one person loves, another may not. And it’s always very personal — you can tell a lot about someone by the art hanging in his home. The same is true for your business. The artwork and decor you choose for your eyecare practice or optical shop will be a direct reflection of who you are, the sort of clientele you want to attract and the type of atmosphere you are trying to create. The six examples here all show how art can be used to make a business more memorable and reflect what the owner wants the business to be. People with artistic skills may decide to go the DIY route and create their own office decor, while others may look to the work of outsiders. 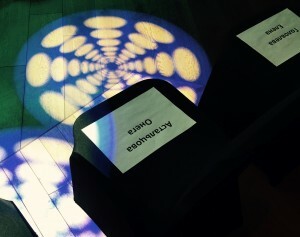 Whichever way you go, aim for a look that speaks to both the uniqueness and professionalism of your businesses. Need some more inspiration for your space? You’ll find lots of good resources online. TheOpticalVisionSite.com and Pinterest are great resources for decorating ideas, as are Facebook groups such as Opticians on Facebook. You might also work with a local artist, gallery owner or art consultant to help you find or create the look you seek. 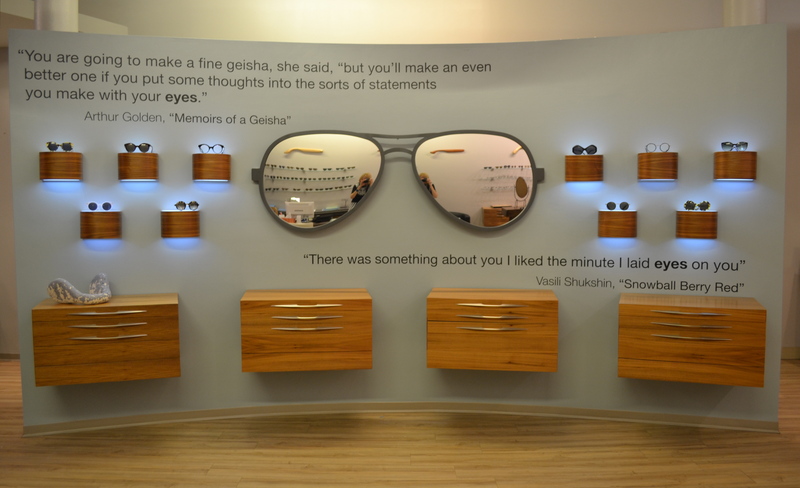 ➤ With a background in art, it’s no wonder why Onega Astaltsova decided to design an eyewear wall mirror for Providence Optical. Astaltsova says she chose a metal aviator-shaped frame design for the mirror to complement the shop’s large selection of vintage frames. She created a hand drawing of the frame she wanted to depict, then transformed that into a vector computer rendering from which polycarbonate and PVC plastic parts were cut and put together. The finished product is set off by large quotations from literature that help reinforce the idea of Providence Optical as a place that celebrates all the arts. 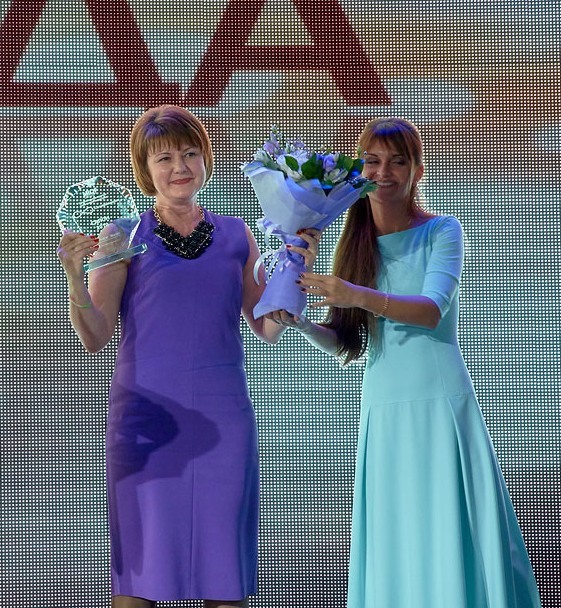 Our Onega Astaltsova had an honor to attend the first National Awards Ceremony “Golden Lorgnette” for Russian Optical Industry, holded in Moscow on February 17, 2015 as a guest judge. The event took place at 16th Moscow International Optical Fair (MIOF). The event in 9 categories is designed to recognize the most important individuals and companies in the optical industry for providing excellent service, fostering innovation and spreading awareness of the optical industry. Among nominations were: debut in Russian market and new best product of the year, best marketing project and campaign in wholesale and retail, best local optical chain and independent optical store, innovation, person of the year. 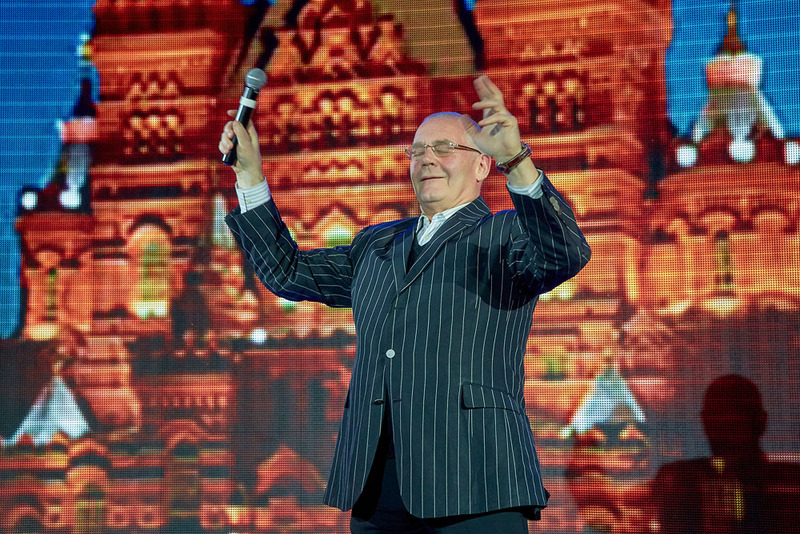 The guests of the evening were treated with a concert of finalists of TV show “Golos”, which equivalent to USA show “VOICE”. At an event Onega wears dress by Karolina Zmarlak, polish-american designer and our own Providence Optical 3-D printed eyewear. Salon ALMAZ-Optic from a small town of metallugists in Ural mountains region is a winner in the Best Independent Optical Shop category. 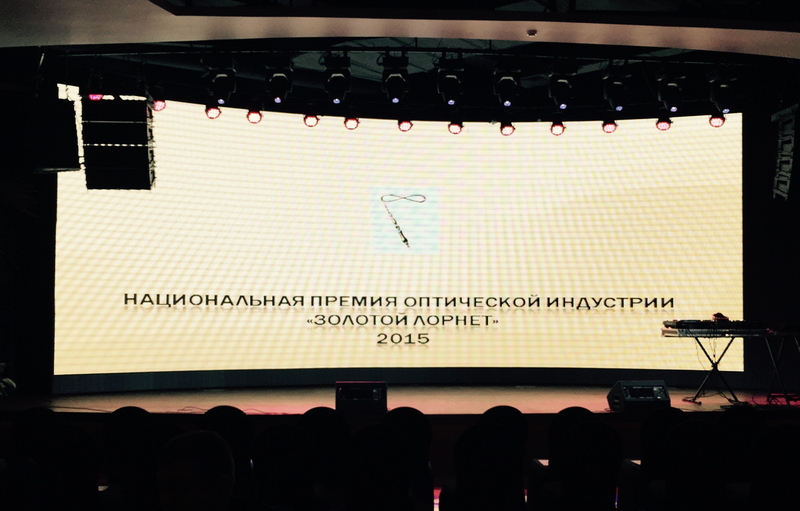 Providence Optical Inspires Russian Eyecare Professionals… again! As some of you might know, we were named as one of the Top 10 Independent Optical Retail of USA 2014 by INVISION, a magazine for eyecare professionals. Following the news, we were invited to share some essential advices and tips with optical professionals of Russia by ОПТИЧЕСКИЙ Magazine (OpticMagazine). The story appeared in September issue of 2014 publication.